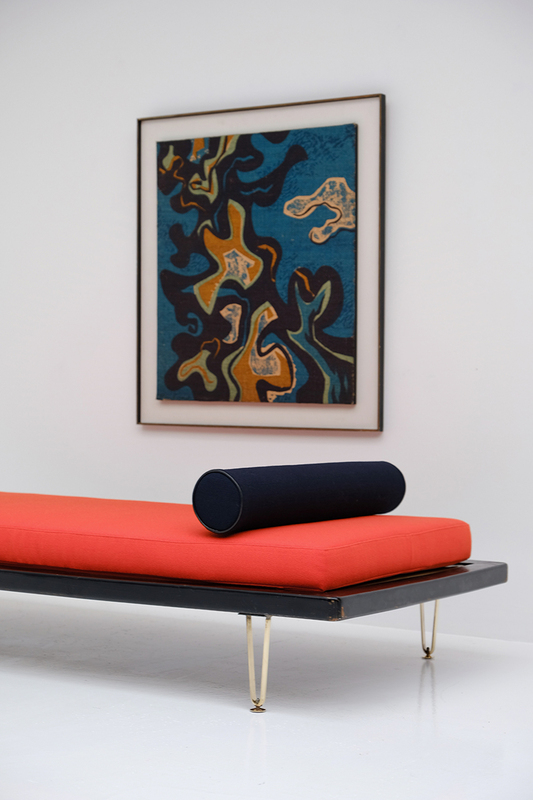 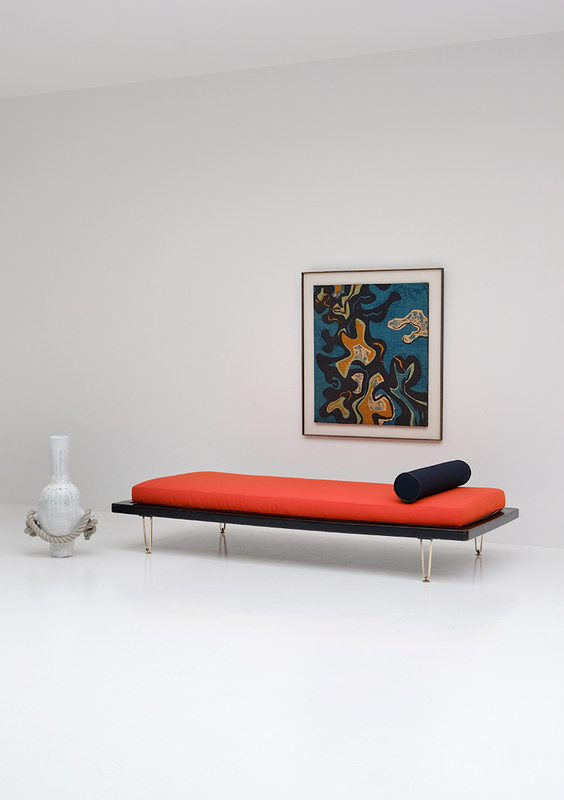 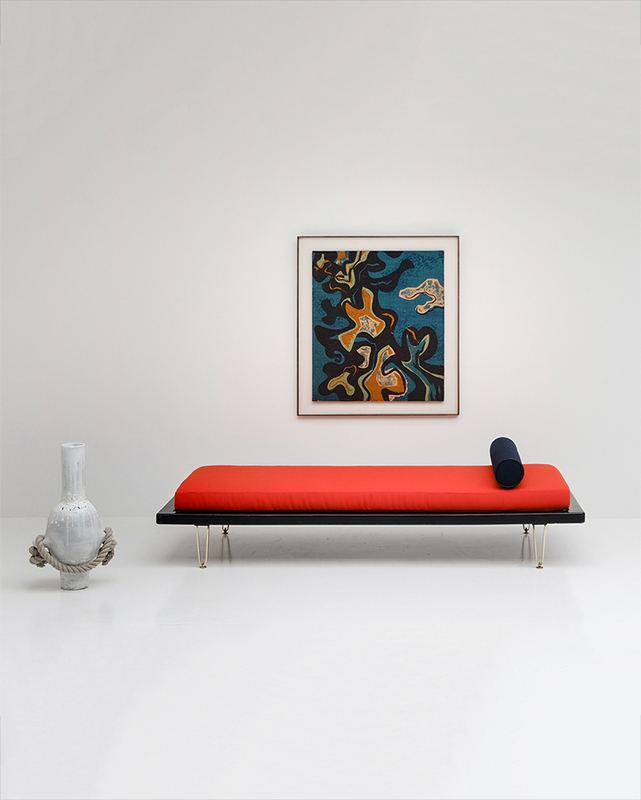 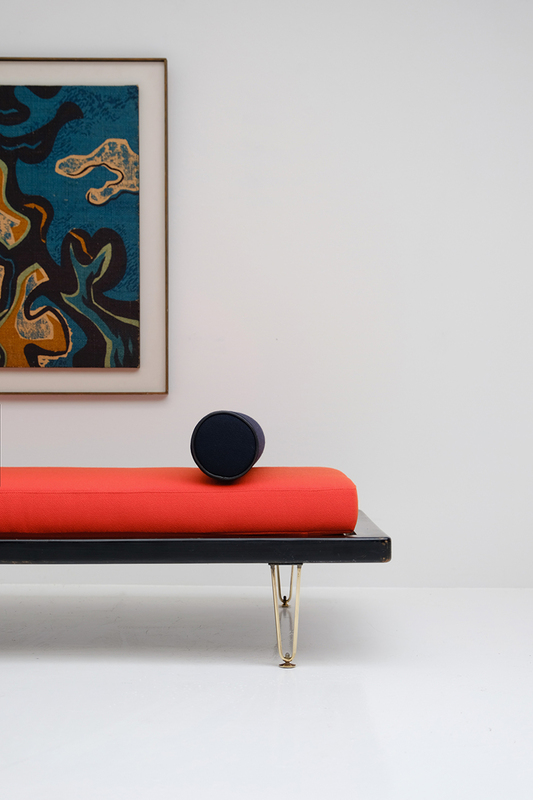 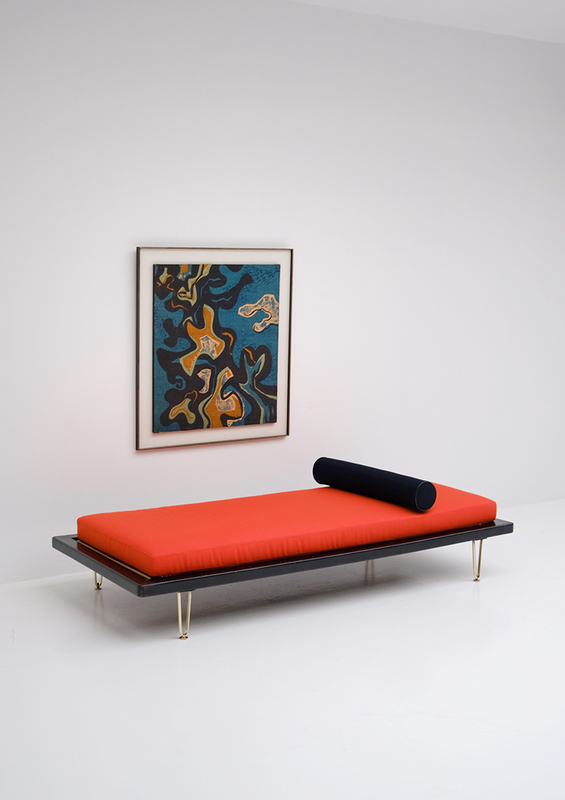 Exclusive daybed designed by Alfred Hendrickx in de mid 50s for Belform. 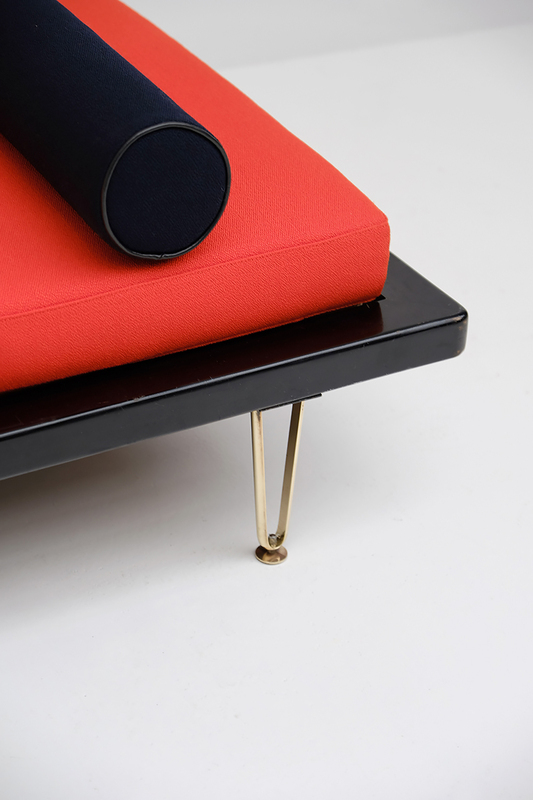 A unique design that contains a black lacquered wooden frame, resting on four brass U shaped feed. 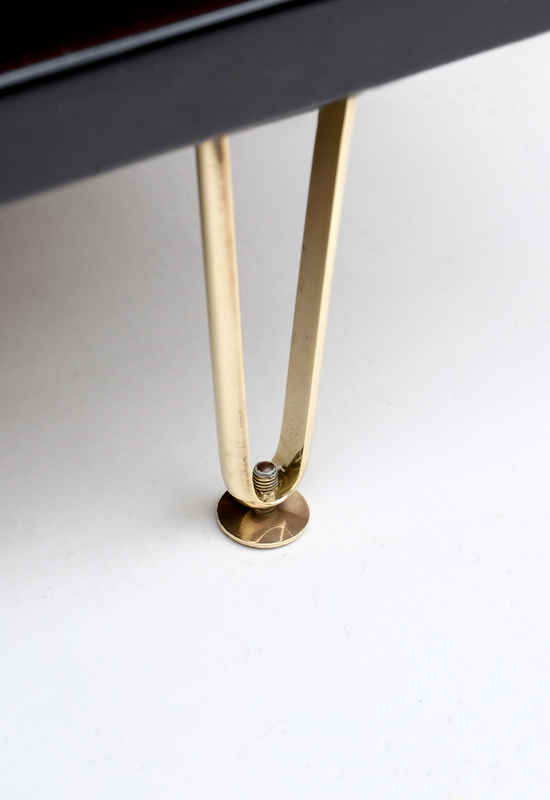 Regarding the original catalogue of Belform, the shape and design of these feet are a real trademark of Hendrickx during the fifties. 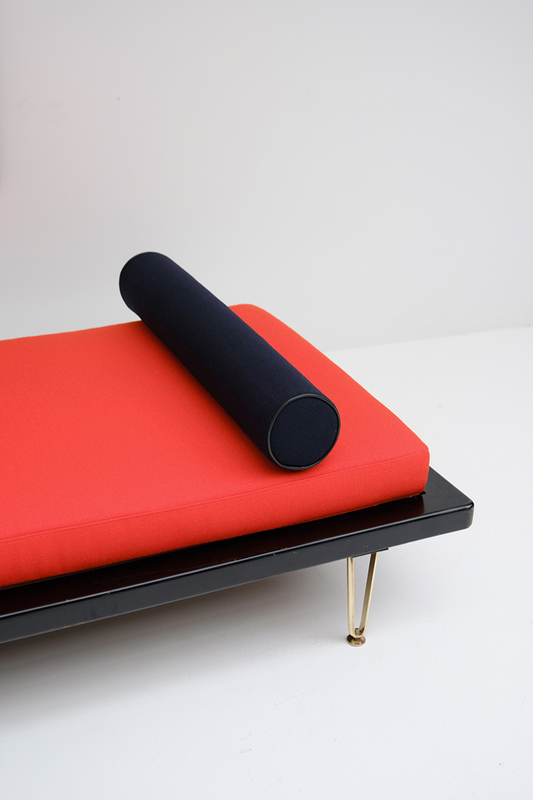 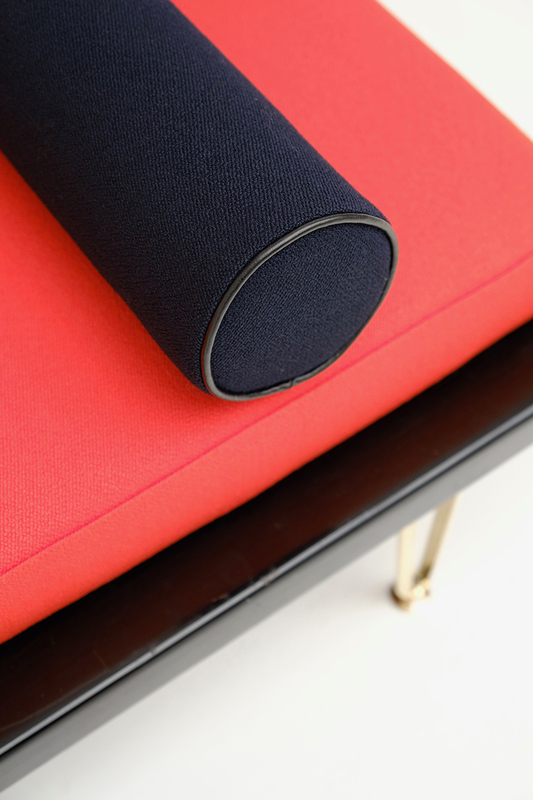 Together with Sophie of Cover & Couch, we decided on using a fabric of Belgian fashion designer Raf Simons for the upholstery of the mattress and bolster pillow. 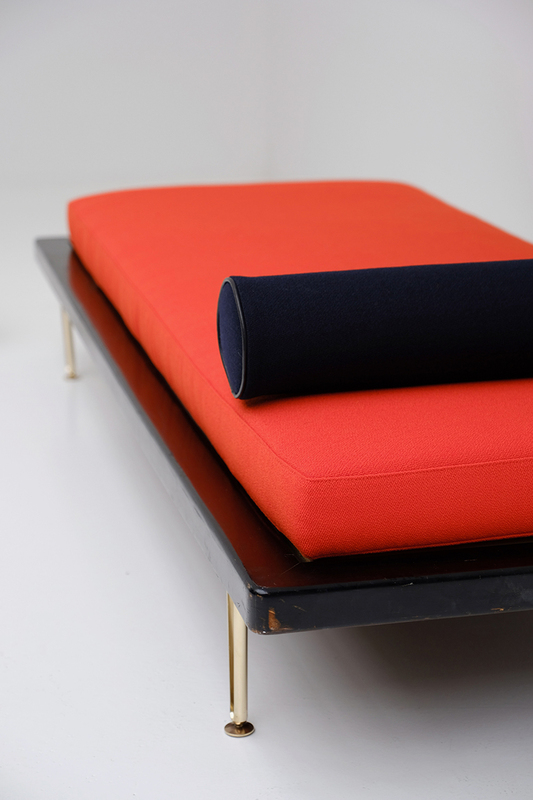 The designer's collection of home textiles for Kvadrat is an innovative blending of color and materials, for which he is known in the fashion world. 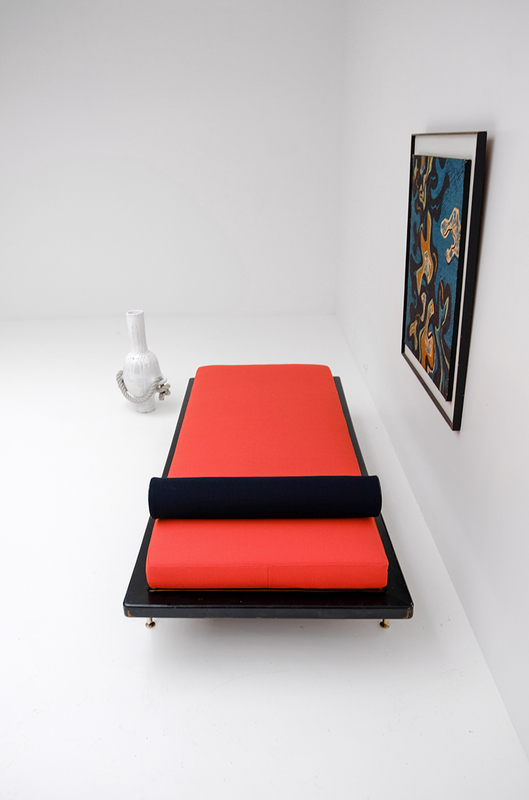 The combination of authentic design and these colorful influences makes this daybed a high end and decorative item.